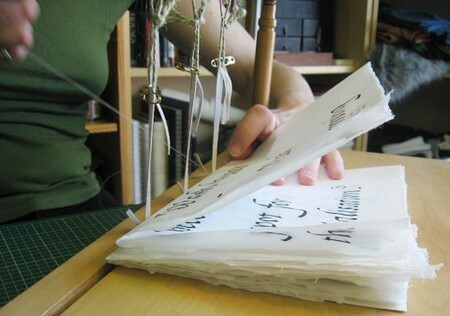 A book binder is the handy tool to make use, if you wish to collate pages and then bind them to make a book. This is a good idea as the collated pages are much easier to organize than the loose pages. And the good news is, they are quite easier to use! So here are some ways to use the book binder. Try to know the book binder’s capacity. Also know that you must never put in paper which is beyond the maximum capacity of that book binder. Apart from these, would result in the sloppy book binding job, which might also result in the paper jamming else your book binder will get broken easily. Prepare papers to be bound. Also it is very important to check if pages are in proper order and are aligned perfectly. Once you’ve started the binding process, it is very hard to correct mistakes with concern to the order of papers or their alignment. Insert the papers in to the binding machine. There is a slot inside the binding machine, where you should place papers so that, evenly spaced holes will be punched in. You should have to exert some force while doing, so that all the papers, from the first till last, will have some holes properly inserted. Prepare the binding mechanism. There are several types of binding mechanisms that you can use to bind all your pages together. Few of these include one coil wire binding and a double wire binding. It specifies of how you will now bind pages together depending mostly on type of binding machines which you are using and then bind that you should use on all pages. If you have one comb binding machine, you must pull on book binder’s handle to see the teeth of book binding machine. Then align the spaces in the comb binding in to the teeth of machine. If you have one double wire bind, then use machine’s wire holder and then insert wire bind which you use. Make sure of properly aligning the spaces in the wire in to the teeth of machine. Bind all the pages together. At the start, you would have manually arranged holes of the paper in to the spines or the teeth in the bind, also in short a perforation in to the page must be inserted in one teeth of wire or the comb bind. Then pull down lever of binding machine; this will happen now that the bind should be locked in itself and around all the pages of book that you are to create. There you have it done! These are the steps to effectively use a book binder. For the maximum results, take time to read through machine’s manual not just so you can know of specific instructions of that particular machine’s make and the model but also you could find out other features of your machine, also the safety precautions to use the machine. Good luck and hope this helped you!